I had hoped I could say I was going to be a player in the Nations Tri that is this weekend in Washington DC, however, with the recent injuries I have been attempting to heal, I will only get to be a volunteer and a big cheerleader for my other half. I am looking forward to the September 11 festivities as well. It will be quite emotional for me - with remberance of all the lives that have been lost during the last 10 years... friends... classmates.. loved ones. Heck, I get emotional during the star spangled banner any more... I know this will not be different! I have been attempting to make thank you cards for the unit in which my 1SGT served with during his first tour in 2002-2003. 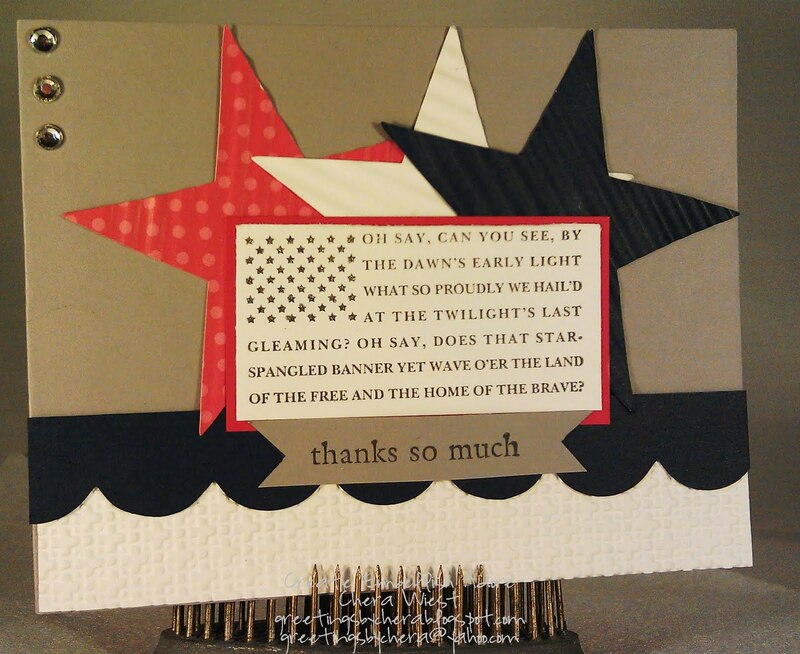 Some of those have registered for the Nations Tri, but some will just attend that Army Ten Miler, in any way, they will get a card from their 1SGT, saying Thank you! It was hard for me to make masculine thank you's that weren't too military like... since that was my orders! I was happy with the turn out. In mass production, I did change a few things up with them! ﻿ The stars are crimped for texture. The "thanks so much" label is actually bowed out, if that makes sense. I didn't get to capture too much of the glittery stars in the flag. The white portion is textured with a weave embossing folder. 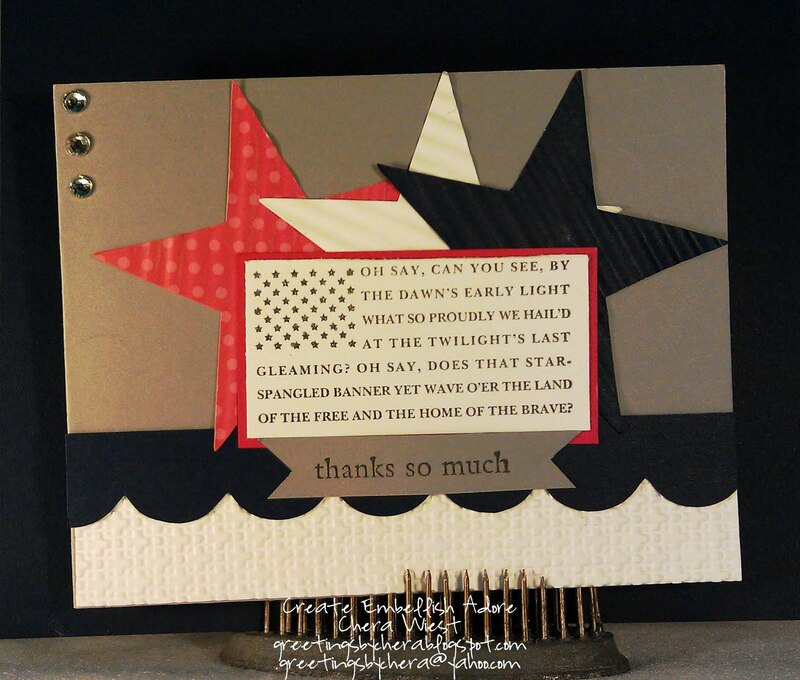 I stamped the Flag in grey and then used a silver glitter pen on the stars. Simple once you find a layout that works. 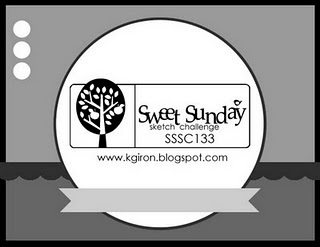 Thankfully I ran across the Sweet Sunday Challenge and it put it all together for me! How sweet!! 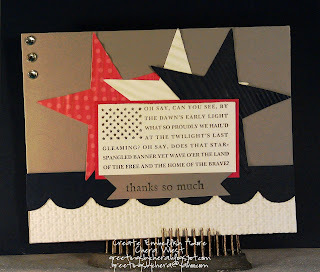 I love the crimped stars and the image is wonderful - love it!! Wonderful card! It's definitely going to be a day of reflection...and I'm traveling for work that day (flying) so I'll be thinking about it in a different sense as well.